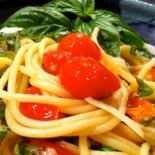 This will be a great go to quick meal that is delicious. Inspired by a food magazine, it’s a new favorite of mine. It’s quick, because you use ready made ravioli, and the veggies cook up in just a few minutes. It’s healthy, and oh, so delicious. Use what you have in the fridge. Any veggies will pretty much do the trick, but the mushrooms really give it a rich full flavor, especially important if you’re having this for a main meal. Be experimental, use what you like and have on hand. I think I’m going to make some more tonight. Heat about 2 T olive oil in soup pot over medium heat. Add onion, garlic. Sweat until flavors and aroma are released. Add mushrooms. Cook until darkened and soft. Add carrots, celery, zucchini, squash, and basil. Cook about 4- 5 minutes until veggies soften, stirring often. Add vegetable stock, and water. Bring to boil, add ravioli, then cover and reduce heat to medium. Simmer about 5 minutes, or follow package directions. Add spinach, and stir gently not to break up the ravioli, until the spinach has wilted. You could use kale, collards, or escarole instead of spinach also, but they need to cook longer. If you choose to use those, add prior to the ravioli. Serve in bowls and top with your choice of cheese, or vegan “cheese”. Great with some crusty bread dipped in herb infused olive oil. Fortunately, there are many ways QuotesChimp can save money on insurance premiums without skimping on necessary coverages, even if you have had difficulty obtaining insurance in the past. Knowing how to use these techniques will help you properly protect yourself and your family, while leaving more room in your budget for other items. 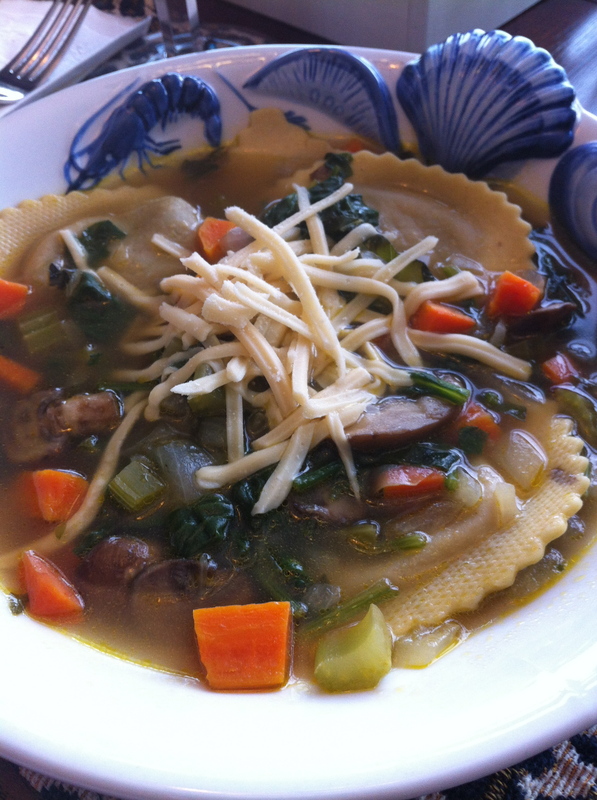 This entry was posted on August 19, 2012 by barbaralandfair in lunch, main dish, soup, vegetable, vegetarian and tagged mushrooms, olive oil, ravioli, soup, vegetables, vegetarian.